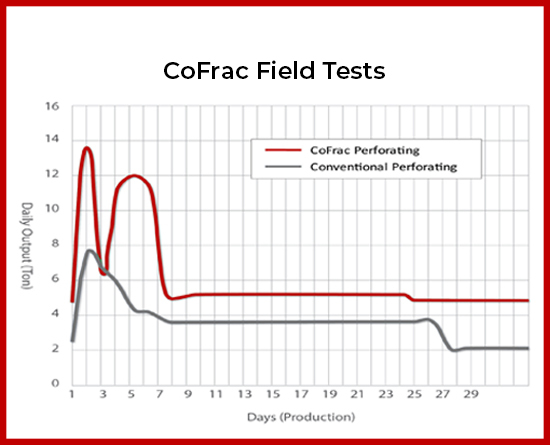 For this test, standard API concrete targets were perforated with conventional and CoFrac™ System measuring 4.25 in. OD and loaded 5 SPF. 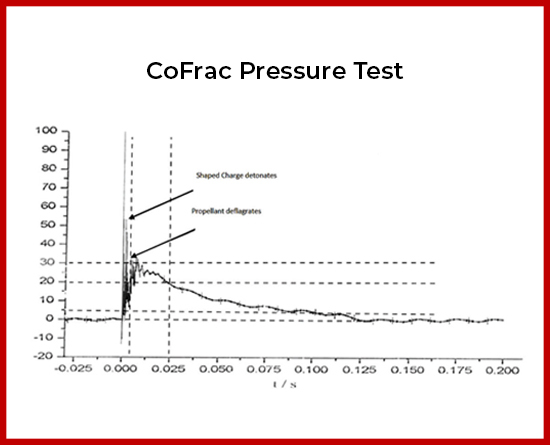 The 39-gram RDX shaped charge was the same for both tests. 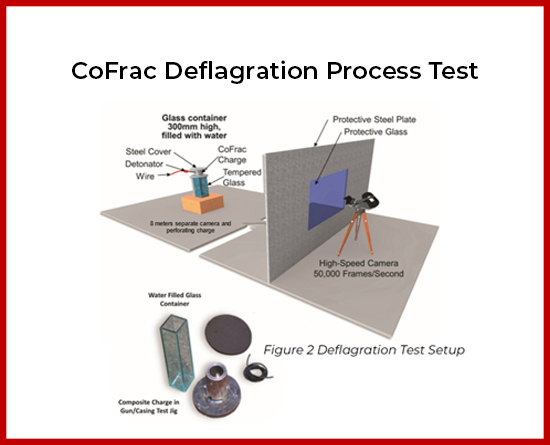 The concrete test targets were 17.1 ft. X 4.6 ft.
After detonation, the concrete target perforated with the conventional gun indicated a few narrow fractures, but no obvious trace of surface breakage. 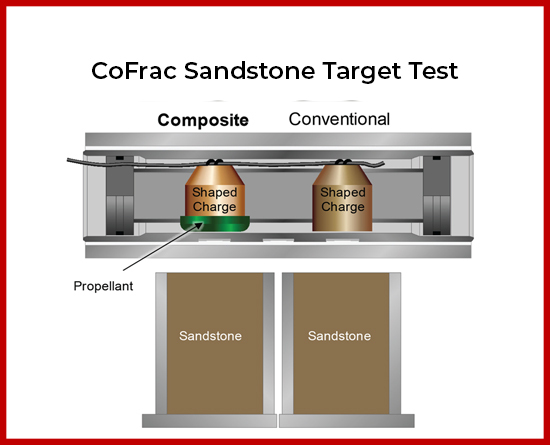 The target perforated with CoFrac™ System had wide fractures and was very clearly broken, indicating a secondary energy wave had entered the target. When the shaped charge detonates, the perforation jet carries the proprietary ReCo™ propellant Cap into the reservoir zone, releasing energy directly to the perforation. 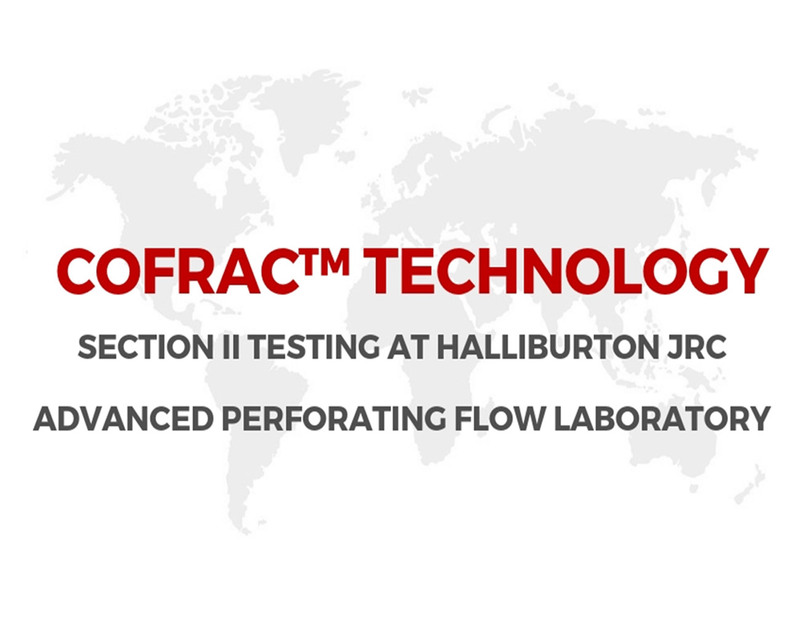 This results in cleaner and deeper perforations that boost reservoir productivity.